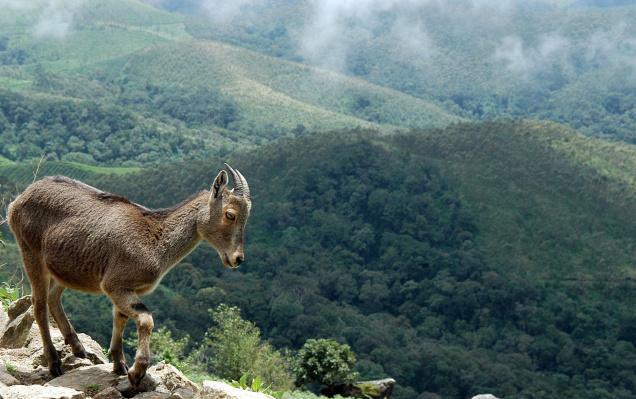 Herds of the Nilgiri Tahrs (Hemitragus Hylocrius) have been sighted at four blocks besides Rajamala in the Eravikulam National Park (ENP), its natural habitat. The enhanced presence of the endangered species was detected in a census held between April 24 and 28. A senior ENP official told The Hindu that this was for the first time that a Nilgiri Tahr census was conducted at Meesapulimada, Kadavari, Kambakallu, Gudallarkudy, and Chokramudy in the ENP and Mangapara in the Chinnar Wildlife Sanctuary. Except at Kadavari, the presence of the ungulate was accounted for at the other five blocks in the census. The official said the final evaluation of the total number of newborns had not been done. The park, which has the largest wild tahr population, was closed for two months from February in view of the breeding season. As per the 2013 census, the count of the Nilgiri Tahr in the ENP stood at 871. However, its population, after an intensive protection programme was launched at its natural habitat at Rajamala a decade back, had remained stagnant with minor increases in some breeding seasons. C.P. Soman, Rajamala range officer, said intervention in the ungulate habitat was almost nil though predation by carnivores could be a factor for its stagnant population. He said the census finding was a sign of positive growth of the tahr population at Rajamala. The ENP consists of 97 sq km of high altitude grasslands. The tahrs avoid ‘shola forests’ though they sometime forage along the periphery. Mr. Soman said whether the migration of the Nilgir Tahrs to the five blocks was due to changes in its natural habitat or favourable conditions outside needed a study. There would also be natural reasons such as weather changes affecting the habitat, leading to migration to areas outside.